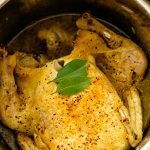 Fall of the bone, tender and juicy whole chicken perfectly cooked in your Instant pot. Keto, Whole 30, Paleo and gluten free! It almost tastes like a Rotisserie Chicken you by at the grocery store. You don’t have to babysit the whole process of cooking too, just place the chicken in the pot, close the lid, push to start and….go do something amazing while the chicken is cooking! 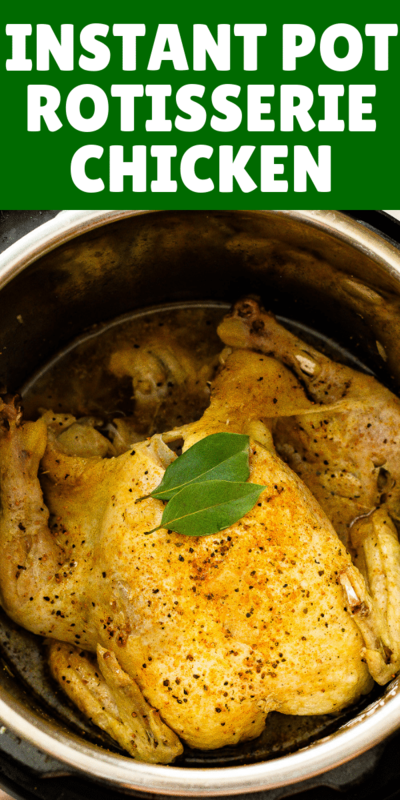 Whole chicken in Instant pot- my kids favorite. Totally a kid friendly meal. My toddler adores this type of meal, so easy and yummy. Another option- to make the skin crispy, once cooked, put the chicken under the broiler for about 5 minute. That should make the chicken skin crispy and crunchy. Try this Roasted eggplant and tomato salad as a side dish, its fantastic! 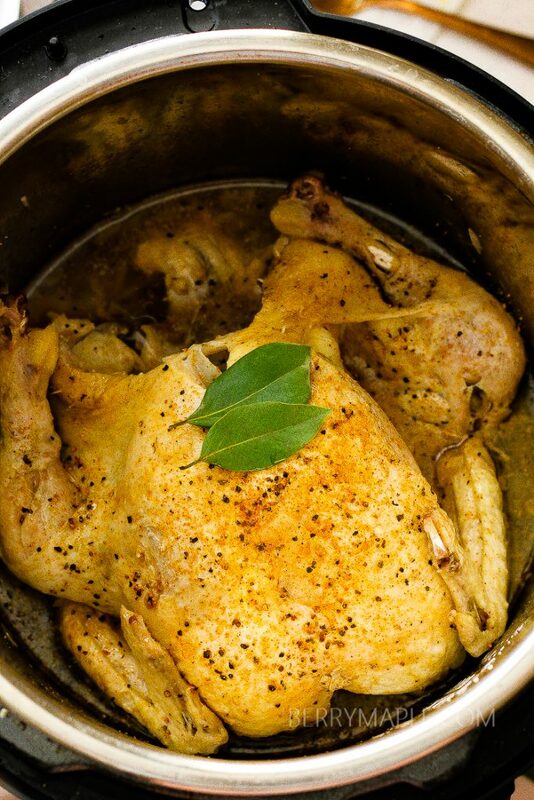 Place the chicken in to the instant pot. Add water or broth, and wine if using. Close and lock the lid. Set to 25 minute on high pressure. Once done, quick release the pressure. Be careful getting the chicken out of the pot- it will be falling apart.